If the price of safety is slavery, would you bargain your life? A deadly infection threatens to wipe out humanity. The only people who can stem its advance are the Silver, a vampiric race who offer a simple exchange: protection in return for blood and subservience. It’s not a deal that Emmy’s willing to make, but as her world burns around her she finds herself in the arms of the enemy and the line between oppressor and saviour begins to blur. After an attack by the infected, Emmy is rescued by the handsome Drew who introduces her to the world of the Silver. Desperate to escape subjugation and confused by her attraction to him, she gathers what remains of her surrogate family and plans to make a break for freedom. But despite her efforts to resist, she is drawn further into the intrigues of the mysterious Silver through the agency of their ruler, the Primus: Solomon. Emmy refuses to submit to the cold and detached Primus and an attempt on her life makes it clear that he is unable to protect her from the political machinations of his race. As the connection between them deepens she must choose between her desire and her will to rebel, but can she trust his intentions when everyone is after her blood? Genre: Fantasy, fantasy romance, Vampires. The book follows Emmy on her journey in just one week. Normally works at a bar in London, one night on her way home she is attacked by Weepers ( zombies) and saved by Drew, one of the Silver ( Vampire). In 24 hours the whole country is under attack from Weepers, the Solis Invicti offer sanctuary for all humans as long as the rules are followed, the leader of the Silver is the one and only Solomon followed by his Secondus Andrew ” Drew”. Those resisting will be killed, those who wish to be safe are set to work to rebuild a new country. The prologue is set 6 months from the country falling. This is the first book of four, each based on one week in Emmy’s life from the beginning of the end. Emmy is a strong woman, at first resisting with her friends, planning to live outside the boundaries, however nothing ever goes to plan. Emmy is forced to be with the Silver, after already bumping into Drew at the beginning she has an advantage, but only if it benefits her in the long run. On the other hand due to her stubbornness and strong character she attracts the attention from the leader Sol aka Solomon, which comes along with it’s own boundaries and unwanted attention. Emmy is then forced to bounce back and forth between the two most powerful Silver/Vampires in existence, whilst protecting her reputation as not being seen as another weak human. I loved the book. I was addicted from the beginning. As most of you know I was in a reading slump from the last book I read, this book has brought me back. I completed this book in a day I would say, just two sittings. I have never come across a book where the author includes two fantasy figures, zombies ( Weepers) and Vampires (The silver). 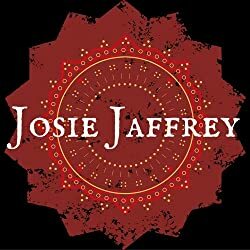 The way Josie Jaffrey writes is fantastic, it has been a while since I have been sucked into the fantasy world, and I am very keen to read the second book “The price of silver”. The book did not feel rushed, there was always something happening in each chapter, lots to learn about the silver and it leads well into the second book. Plenty of sexual tension not only between Drew and Emmy but between her and Sol. If you love fantasy, romance and a good page turner then this is the book for you. I am so addicted, if it wasn’t for me needing to sleep last night I would have stayed up late to finish it. Ahhh I just cannot get across how much you should all read this book. 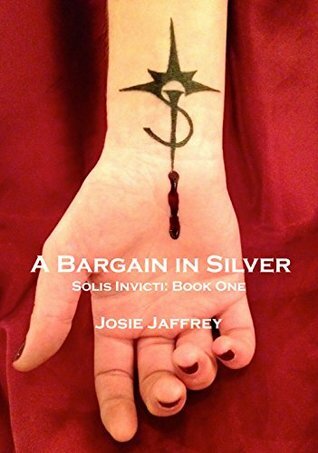 I have always written stories, but it wasn’t until I started the first book in the Solis Invicti series in 2014 that I really became obsessed with writing. I love to read, particularly where the escapism of the story is enhanced with an element of fantasy or science fiction. For me, writing is simply an extension of that journey, but I get to decide what happens next (though it’s amazing how often the characters seem to decide for themselves what I’m going to write! ).